Better positioned to advance their mission. Most importantly voting gives a community as a whole a voice. Visit CDW’s Learning Lab to find resources covering how-to guides on voting, engaging people in voting, trends in voting, and more. Most importantly giving gives a community as a whole the opportunity to grow. Visit CDW's Learning Lab to find resources covering how to guides on giving, engaging people in giving, trends in giving, and more. 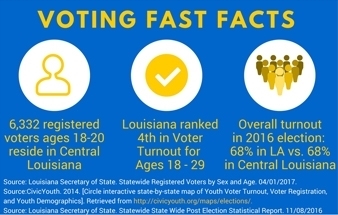 The most important element in every election is getting voters to the polls. These get-out-the-vote (GOTV) efforts make the difference between winning and losing office. 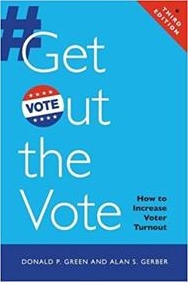 In this expanded and updated edition, Green and Gerber incorporate data from more than 100 new studies, which shed new light on the cost effectiveness and efficiency of various campaign tactics, including door-to door canvassing, email, direct mail, and telephone calls. Two new chapters focus on the effectiveness of registration drives and messaging tactics. Giving USA is an essential resource in tracking charitable giving in the United States. The report identifies trends, provides data, and illustrates how individuals, corporations and foundations engage to make communities better. Individual giving rose $10.53 billion to an all time high. All nine major philanthropy subsectors realized giving increases for only the sixth time in the last four decades. Over $390 billion was contributed to U.S. charities in 2016, according to the recently released Giving USA 2017: The Annual Report on Philanthropy for the Year 2016. Giving USA data and statistics are a useful planning tool for your nonprofit and can be used for grant proposals, board development, strategic programming, donor relations, and fund development. 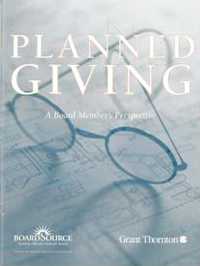 Offers an overview on building a planned giving campaign for nonprofit boards wanting to add this to their fund development plan.